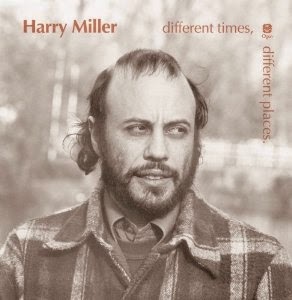 For anyone who grew up listening to jazz in the UK in the 70s or early 80s then Harry Miller will be a familiar name. His Ogun records was a major part of the UKs vibrant jazz scene and the label hosted some of the top names. Miller was part of the group of musicians who bridged the gap between jazz, rock and maybe even some free elements, his name was synonymous with the vanguard of players pushing at the boundaries of jazz such as Keith Tippett, Chris McGregor, Elton Dean, Louis Moholo, Mike Osborne or Mike Westbrook and of course that of Peter Brötzmann's trio recorded on the FMP label. Before his untimely death in 1983 Harry produced a fine, if small, batch of his own recordings from solo bass on Children At Play (1972), to a duo Bracknell Breakdown (1972? ), Harry Miller’s Isipingo: Family Affair (1977), Harry Miller Sextett: In conference (1978) and the Harry Miller Quintet: Downsouth (1984). His music fused elements of South African grooves (he grew up in Cape Town) and strong modal riffs which he combined with the explosive energy of drummer Louis Moholo to produce some very exciting vibrant, swinging, melodic yet edgy music. One could make comparisons such as Dollar Brand meets Cecil Taylor meets Charles Mingus...! On this album, released late last year, Hazel Miller has put together live recordings from two concerts, one in London, 1973, and the other from the Chateauvallon jazz festival in France, 1976. Several of the compositions heard here were never featured - to my knowledge - on his previous albums, adding a 'new' element to his recorded repertoire. The first track "Bloomfield" is a slow ballad with Mike Osborne's sax playing both melody and achingly heart-wrenching solo that fits his bitter sweet alto sound. After that the heat is on throughout the album. It is difficult to express the energy that comes out of this music, the band plays with such energy - as they always did - that you wonder at times if your speakers can contain them! Chris McGregor plays some excellent fiery solo work on "Quandry" (tk2). It's refreshing to hear him play other peoples music with such pure joy, it's also interesting to hear the contrast between Tippett and McGregor's playing on the two sets. Nick Evans' is his usual adventurous self, his melodic solos are full of ideas on the first set. Mike Osborne just shines throughout, probably some of his best solo playing I've heard, very (very) intense driving alto. It's difficult to say enough about his playing but here he really stands out, one of the forgotten, or is that undiscovered, greats. If you don't know his playing you should immediately look into Mike's solo Ogun recordings whilst still available. The second set has the slight edge over the first, due in part to the expanded line-up (see below). "Mofolo" (tk4) comes from the album Downsouth. "Something Like This", a new title, has plenty of driving solos from Harry, Keith & Malcolm Griffiths. It is one of the free-er pieces on the album with the classic ostinato solos moving between the different grooves and idea. The album finishes with "Touch Hungry" (is repeated in both concerts) and "Eli's Song" from the amazing Family Affair album. Both titles feature some strong work from the whole team. Lastly, it's difficult not to be astounded by the drive and synchronicity of this rhythm section. Harry, Louis and Keith were probably one of the outstanding teams of that period, constantly adventurous yet always swinging, even in the wildest moments. *= These are live recording which means there's a slight loss in quality, but nothing to complain about. Interestingly a lot of Ogun's albums were live recordings, so this fits nicely into the spirit of the label. **= The 4½ is due to the fact that this is a retrospective album, otherwise I'd happily rate it 5 stars. A marvelous album, I would rate it with five stars as well. It is worth every penny (more than 70 minutes of the most wonderful music). It's so sad that he had to go so early. Yes, I also wondered about the 5 stars - as you noticed. Maybe we should have a 'retrospective' category for this type of record? Anyhow, anyone interested in great music will jump on this one. By the way, did you ever hear the Mike Osborne live in Birmingham, and if so what can you tell me about it?